Note: This hardware is designed to help prevent furniture from tipping over. 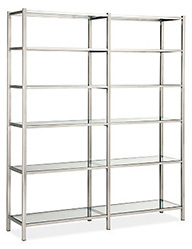 To reduce the risk of broken glass, remove the shelves from your Brixton piece before attaching anti-tip hardware. 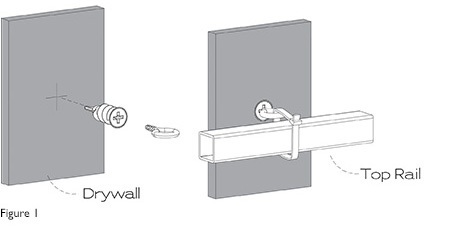 Determine the desired location of your Brixton piece and find a wall stud near the middle or top of the piece. Mark a spot on the wall about 3/4" above the top rail of the piece. Move Brixton piece away from the wall. 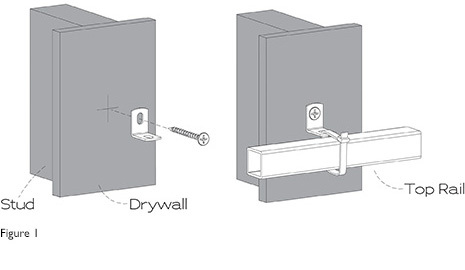 Use hammer to partially tap the anchor into drywall. Then use Phillips screwdriver to drive the anchor flush with the wall.